As those of us who specialize in reverse mortgages know, there are more misconceptions about reverse mortgages than knowledge of the facts. Let me clarify the facts for you. First, a reverse mortgage is a mortgage just like any other mortgage but has special terms for seniors 62 and older. Like any other mortgage the borrower owns the home, keeps the title, is responsible for paying the taxes, insurance and maintaining the home as well as abiding by the terms of the loan. The initial difference between conventional mortgages and reverse mortgages is in the qualifying, with the fact that there are no income or credit score qualifications and no monthly payments required. Income, assets, credit and risk is used to determine the interest rate on a conventional mortgage. When you’re a senior on a fixed income the interest will be higher. Whereas with the reverse mortgage the interest rate is historically lower than conventional mortgages. While the interest rate will vary from the program chosen and the time of closing, the interest rate is the same for all seniors – it doesn’t matter if you are receiving only Social Security or also receiving pension and/or still working and earning an income and don’t have any additional assets. Currently the interest rate is under 3.5% for the adjustable rate and 5.56% for the fixed rate. Reverse mortgage loan balance increases over time because borrowers are not making payments. Often criticized because the loan balance will be higher in the end, you need to keep in mind that borrowers have access to these funds without making payments. Yes, the interest, servicing fee and FHA Mortgage Insurance Premiums are being added over time but have you added together what you have paid in interest payments? You’ll find that if you weren’t making payments they too would look high. Essentially the borrower is also borrowing these fees each month. The amount loaned from the reverse mortgage is based on the home value, Expected Interest Rate (used only for this purpose – not the interest accruing on the loan) and the age of the youngest borrower. The older one is the more they can access. This is determined by a formula set by HUD and the margin generally set by Fannie Mae or Ginne Mae. An advantage of the reverse mortgage for seniors is they can use the equity in their home for their needs or wants, whatever those may be up to the maximum allowed by the loan. Seniors often take advantage of this fact and the reverse mortgage helps them stay in their home as long as they desire or until their death. 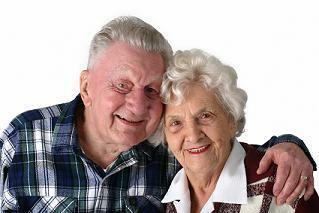 To read about how some have used their reverse mortgage proceeds click here. Reverse mortgage funds can be received in a lump sum, monthly payments, line of credit or a combination of these. Unlike any other line of credit, the funds left in the line of credit grow so more funds become available in the future. Monthly payments can be structured as tenure (for life) or in a monthly amount desired. In essence, over time the senior can be borrowing more than the home value that was determined at the time of closing. The reverse mortgage loan becomes due and payable when the home is no longer the primary residence of the borrower(s) or on their 150th birthday. As with a conventional loan the borrowers can decide to stay in their home or to sell when they desire. The borrower or the estate communicating with the servicing company is crucial when the home is no longer the primary residence of the borrower. HUD insures most reverse mortgage loans so their terms must be followed by the borrowers and the servicing companies. Once the loan is closed funds are guaranteed to be available for the borrowers based on the home value at the time of closing. The lender cannot decide to lower how much one can access in the future or call the loan due and payable as long as the terms of the loan are being abided by. Yes, in a down market the home values have dropped. The advantage of the reverse mortgage for the seniors who took one out when the market had higher home values is the seniors could access more funds that were/are guaranteed to be there for them. As a non-recourse loan, the reverse mortgage is repaid only from the property when it is sold, there is no personal liability to the borrower or their estate as long as they are not retaining ownership. A huge advantage for seniors – they do not leave a debt to their heirs. With a conventional mortgage the borrower or their estate could still be responsible for paying back the full value of the loan whereas with the reverse mortgage the lender is only paid back from the sale the home as long as the borrower or their heirs are not retaining ownership. And another important factor is if the loan balance is less than what the home can be sold for the borrower or the heirs keep the difference. It is a requirement that when doing a reverse mortgage sample closing documents are to be left (or provided within 3 days) at the time application. This gives the borrowers time to review the terms, have them reviewed with their family, advisors or an attorney. Having the time to review these during the processing of the loan provides an opportunity to get the facts and terms of the reverse mortgage. Reviewing these should help dispel the many misconceptions there are about reverse mortgages. This entry was posted in HECM, HUD, MN Reverse Mortgages, Retirement, Reverse Mortgage, Senior Financing, Senior Issues, Uncategorized and tagged Boomers, Caregiving, FHA, Finances, Financial Planning, HECM, Home Equity Conversion Mortgage, HUD, Lenders, Minnesota, Minnesota Reverse Mortgage, Mortgage Costs, Retirement, Reverse Mortgage, Reverse Mortgage Benefits, Reverse Mortgage Facts, Reverse Mortgage Myths, Senior Advocacy, Senior Housing, Senior Independence, Senior Real Estate, Seniors by Beth Paterson, CRMP. Bookmark the permalink. I recently read an article by Jack Guttentag, who has written a series of 6 articles refuting criticisms that have appeared in the press concerning Reverse Mortgages. The following is the last of these articles. Jack Guttentag is a professor of Finance, Emeritus at the Wharton School at the University of Pennsylvania. He frequently writes about the mortgage industry. As a financial advisor for more than 23 years, I respect the fact that there will always be certain “professionals” in every industry who have differences in opinions regarding the use of certain products and strategies. Here’s what I find absolutely RIDICULOUS and UNACCEPTABLE in articles and statements like this. Nobody should ever offer advice like this Regarding Reverse Mortgages. The reason I say this is because, as you know, there is no one-size-fits all situation out there. Personally, I can always find “some negatives” associated with every financial or mortgage product or strategy. However, our job as a “FINANCIAL PROFESSIONAL” is to look at each client’s situation on an INDIVIDUAL basis, weigh the pros and cons, and then come up with an educated decision based on whether the benefits the client will receive can significantly outweigh any negatives. This is typical in our business, and I should be used to it by now. But I just thought I’d send this to you with the hope that it provides you and your readers with your some helpful insight. The message here is, don’t ever listen to anyone who believes that ANY product or strategy is bad for everyone. If this were true, how could they exist? The reason they exist is because, like Reverse Mortgages, there are certain people whose lives are changed for the better as a result of looking at all their options…and choosing the one that fits them the best!! Thank you for your comment. You are so right that there is no product that suits everyone! Having the facts and working with professionals who are knowledgeable and experts in their area can benefit seniors in guiding them to decide which are the right option(s) for their situation. My questions to people are: Would you go to a plumber if you have health issues? (Of course not!) Would you go to a general practitioner if you have heart disease or cancer? (Of course not, you would go to the specialist/expert for the condition!) So why not go to the specialist/expert for the facts when it comes to reverse mortgages,.financial planning, legal issues including estate planning and Medicaid planning? Do go to the media, politicians, neighbors or friends – they are not the experts. Great article Beth – I have met a number of reverse mortgage lenders/specialists but I have not met someone who so thoroughly explains the value of reverse mortgages and can clear up the misconceptions in a practical way. I was always a little skeptical based on certain people that have negative views of them but now I am sold. I definitely can see how a reverse mortgage can benefit a senior on a number of levels. Thanks, Luke! I’m glad I was able to help clear up some misconceptions for you and to see how reverse mortgages can benefit and change seniors’ lives. I am late to comment on this article, well said Beth. The comments by Mr. Hill were perfectly stated too. Appreciate your comment, JR! We have to keep working on educating to correct all the misconceptions.